Hestra Utsjö Mustard Elk Leather Sport Classic Gloves 30830-400. 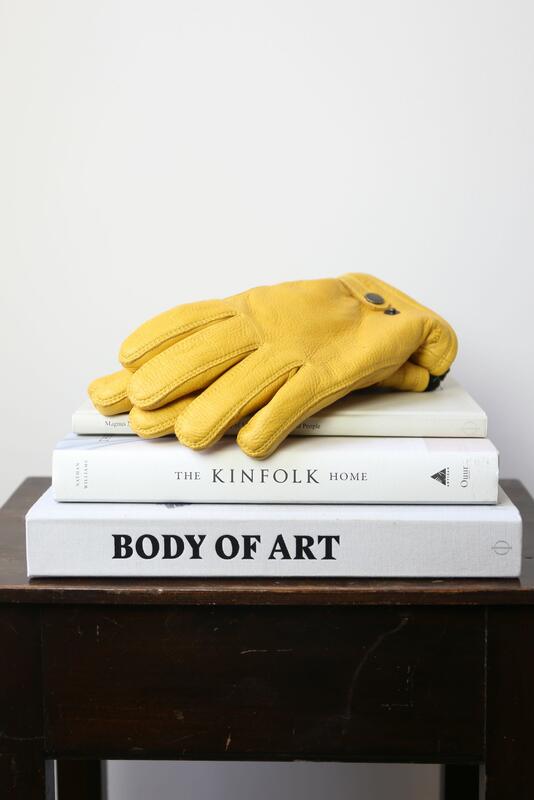 These men's gloves are a pre-curved, supple glove made from Scandinavian elk leather. With Primaloft filling, it provides a warm and soft down-like feeling which is super luxurious for the winter time.